宝示戸亮二: piano, small instruments, voice, etc. Ačiū! ("Thank you!" 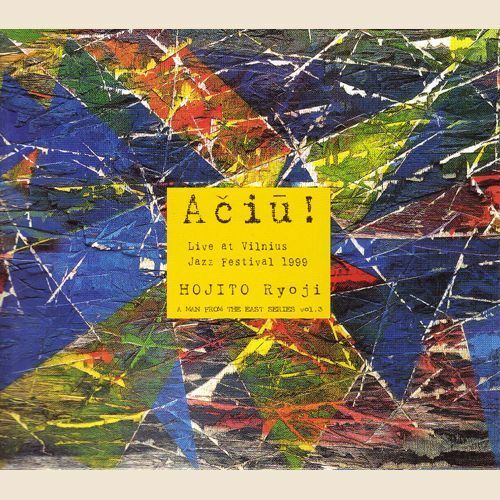 in Lithuanian) --- Hojito Ryoji's performace was the closing concert of the 1999 "Vilnius Jazz Festival" held in Vilnius, the capital city of the Baltic state Lithuania. This is the unabridged and unedited document of that fulfilling performance, complete with the air of excitement from audience, highly acclaimed also by the media in neighboring nations. Ryoji Hojito: piano, small instruments, voice, etc.